The world’s largest mosque, with a capacity to accommodate 40,000 worshippers at a time - This is how we describe The Sheikh Zayed Grand Mosque. 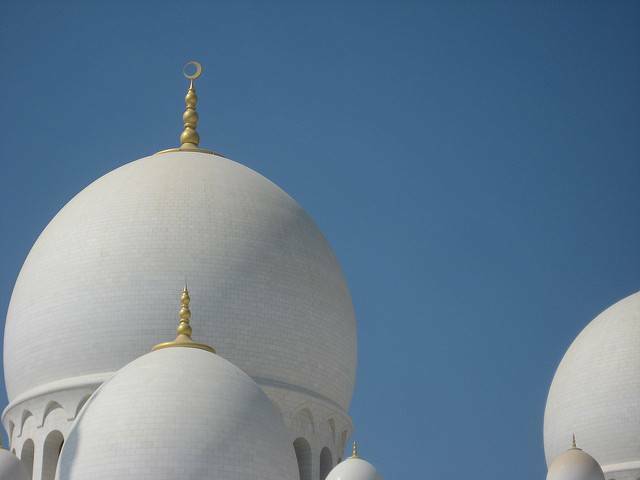 Located in the capital of UAE, this place is considered to be the key for worship in the entire country. It is actually a key place of worship for the Friday gatherings and the Eid prayers. It is also a centre for education and learning as it organises various cultural activities and programs. This mosque is an architectural wonder which features 82 domes, 24 carat gold plated chandeliers, and the world’s largest hand knotted carpet. The extravagance and royalty of this palace can only be understood by witnessing it. The main prayer hall of the mosque houses the world’s largest chandelier, which is 10 metres in diameter, 15 metres in height and weighing twelve tonnes. The mosque is surrounded by a reflective pool which reflects gold and white during the day and is transformed during the night by a lighting system reflecting the moon. It might remind you of Alladin’s place from your childhood because of its sheer beauty and peacefulness. This mosque is full of history, symbolising the culture of UAE.